This is too good. 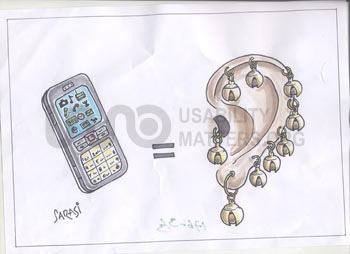 Best way to express what the cell phone is baiscally needed for. Very good idea. The cartoonist has an excellent creativity. It has been a very long time since i came across such a different cartoon. Nice. Keep it up!! !